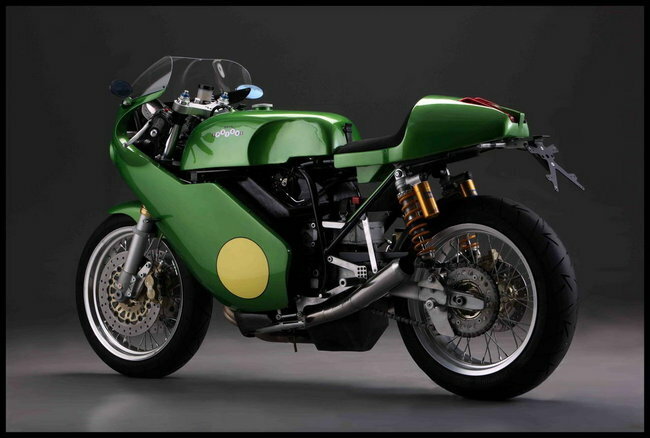 After revealing its first ever street legal race bike, the S1 Strada, at EICMA last November, Italian motorcycle manufacturer Paton has now confirmed its entry in the 2014 Isle of Man TT Race. The company, which is based in Milan, Italy, will use its latest bike, the S1 Strada, which has a Kawasaki 650 twin engine but with a Paton designed frame. The S1 Strada was revealed at EICMA last year and marks the first time the company has built a machine that can be raced and legally taken on the road. The bike is the company’s first road-legal bike . Prices for the Strada S1 will start from EUR16,000 (£13,212) for the ‘standard’ model and EUR23,000 (£18,992) for limited edition ‘Factory Signature’ models. It is powered by a 649cc parallel-twin engine based on a Kawasaki Ninja 650 powerplant. Paton believes the Strada S1 will put out 71.1bhp to reach a top speed 133.6 mph, with 0-60mph taking 3.9 seconds. The bike will be ridden on the Isle of Man mountain course by 26-year-old British rider, Olie Linsdell.